The sensor UV-Water is a water proof (10 bar or 150 psi) UV sensor to be included into thread). 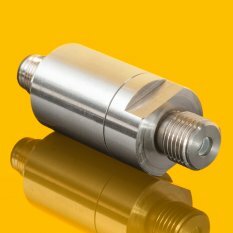 This UV sensor is suited for use in food and beverages machinery. On request it is available in a submersible version. Available calibrated (NIST or PTB traceable) on request.